The fighter who should be considered the greatest of all time, or “GOAT,” in MMA has long been up for debate. For the first part of MMA history, Royce Gracie was considered the GOAT. 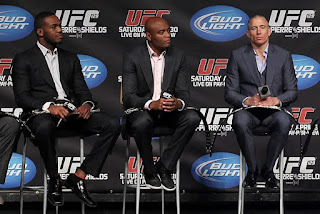 Then for the next part it was Randy Couture, then BJ Penn, then Fedor Emelianenko, then Anderson Silva, then Jon Jones, and most recently Demetrious Johnson. But after UFC 217, it’s hard not to say all of those choices are wrong, and that it’s actually Georges St-Pierre who is the GOAT. Returning after near four years away from the cage and fighting up a weight class, many, including myself, were counting GSP out of his UFC 217 main event against Michael Bisping. 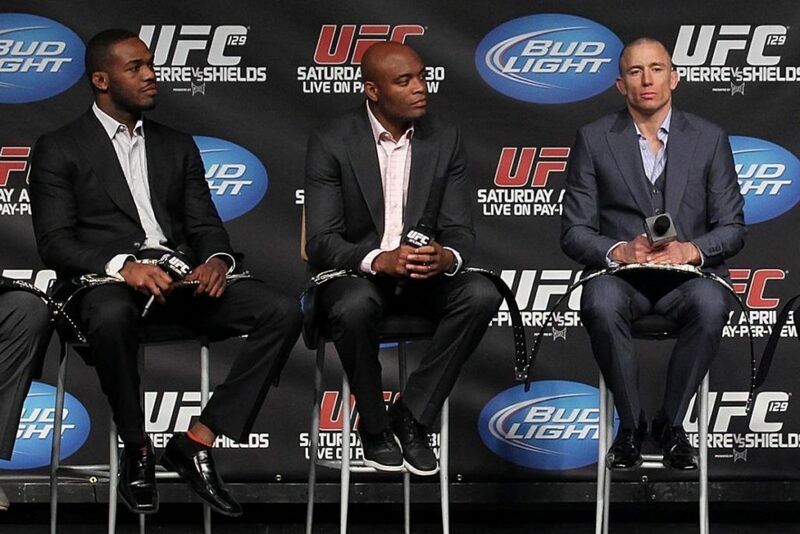 But GSP looked better than ever. In the first round, his striking looked cleaner and more crisp than it ever has, and while he did struggle in the second round, once he found his second wind in the third, he was able to knock Bisping down and viciously strangle him for a rear-naked choke victory. With this middleweight title win, GSP joined Couture, Penn, and Conor McGregor as the only fighters in UFC history to win titles in two weight classes. The victory over Bisping earned GSP 20 victories inside the Octagon, which tied Bisping for the most wins in UFC history. GSP also went ahead of Johnson for the most wins in UFC title bouts with 13 victories, and he’s also riding an impressive 13-fight win streak at the moment, pushing Silva’s UFC record of 16 straight UFC wins. In addition, GSP tied Couture for the most title bouts in UFC history at 15, which further exemplifies his longevity as an elite talent in the sport. And remember, GSP missed four years of his prime due to retirement, and another year due to a major knee injury, yet he still holds all of these records. It’s likely he would have smashed many other records had he not taken so much time off, though the time away certainly didn’t show against Bisping. GSP’s resume is also among the best ever in the sport as the list of fighters GSP has beaten is impressive. Aside from Bisping and Penn, GSP also has wins over Matt Hughes, Johny Hendricks, Carlos Condit, Jake Shields, Nick Diaz, Matt Serra, Sean Sherk, Frank Trigg, and Josh Koscheck. The two losses he did have earlier in his career, against Serra and Hughes, were both avenged in brutal fashion, and he beat every challenger the UFC put in his path for the better part of a decade en route to an amazing 21-2 record inside the Octagon. He’s by far the best welterweight fighter of all time, and now he has a chance to accomplish more as a middleweight. The lack of a middleweight superfight with Silva at the height of both fighters’ games was once an eyesore on GSP’s resume, but after destroying Bisping at middleweight, it’s hard to get too upset by that anymore, as Bisping is as good as it gets at 185. GSP has proven that he’s an elite fighter in two weight classes inside the Octagon, and that is truly remarkable. In addition to his incredible performances inside the Octagon, GSP has been a clean fighter and has never had any trouble with any of the athletic commissions or USADA. The fact is that GSP has never tested positive for performance-enhancing drugs, which is unlike other GOAT-worthy fighters like Silva and Jones. There’s never been any controversy, though haters have tried to point the finger at him in the past, with GSP having none of it. 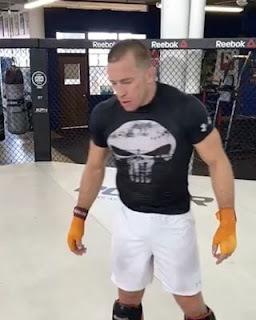 In fact, one of the reasons GSP left the sport in the first place was because he saw a drug problem in MMA, and soon afterwards the UFC adopted USADA, which has leveled the playing field. The fact that GSP is a clean fighter should put him over the top when it comes to where he stacks up among the greats in MMA lore. Obviously, the title of MMA’s GOAT is extremely subjective, but when you consider GSP dominating the welterweight division for so many years, then taking four years off, moving up a weight class, and winning the middleweight title, it’s extremely impressive to say the least. The fact that he has the most wins in the history of the UFC despite missing numerous years of his prime due to retirement and also significant injuries says it all. He’s a winner and one of the best to ever do it. He’s one of the classiest men to ever compete in the Octagon, he’s an amazing fighter, and he’s a special talent that rarely comes around in this sport. The fact that he’s been so successful through so many time periods in MMA history speaks volumes. The fact that he’s done it in two weight classes gives him an edge few others have. GSP is the GOAT, and at 36 he still has time to add to his legacy. The man is truly a legend.